Pub Club on Tour, Milan, Cinque Terre and Home! Well it feels like a year since the last blog update but it’s only been a couple of weeks or so. I hope you’ve all been well. Trains: There were a lot of trains. 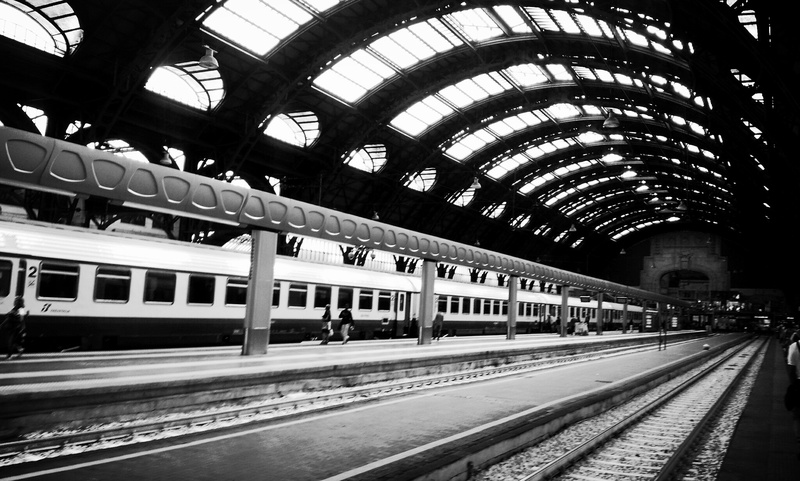 Pub Club, in their hatred of Ryanair, decided to take the Eurostar from London to Paris and then Paris to Milan. All in all over the course of the long weekend, they spent 15+ hours on trains. My journey was relatively quick in comparison: 3 and a half hours from Ancona to Milan. Pub Club, knowing me as the font of all knowledge, asked if train tickets bought ages before a journey were cheaper than tickets bought on the same day. I checked the train website and confirmed it was the same price regardless. Pub Club ignored me and bought their tickets beforehand anyway. Imagine! Un-trusting bunch. I was hurt that they didn’t believe me. And even more hurt that when I bought my ticket on the same day, I had to pay 20 Euros extra <sigh>. 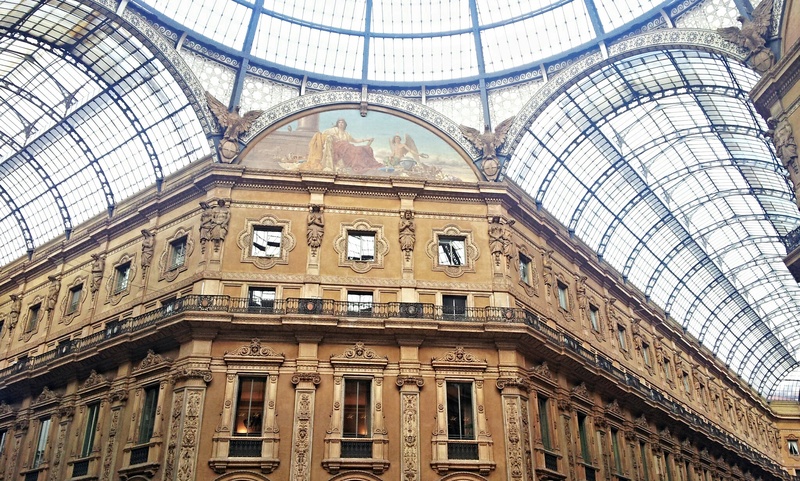 Milan Train Station – the whole station was very nice actually, inside and out. Very impressive. 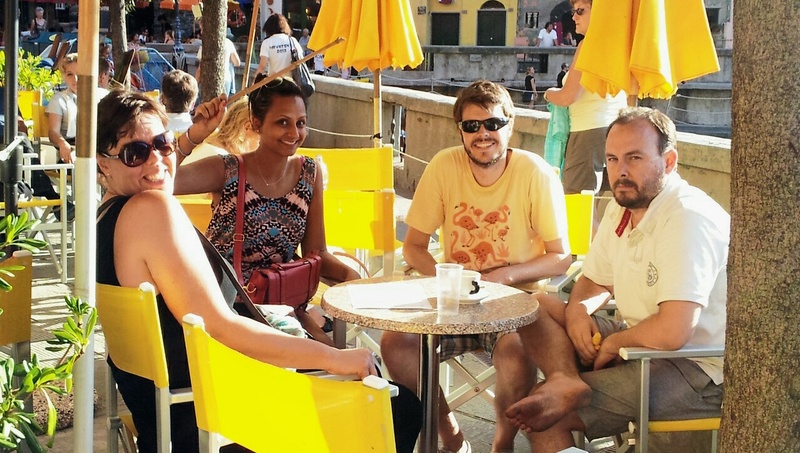 Milan Part 1 (Thursday): We stayed in the Navigli region of Milan. When I tell Italian’s this they say “aw, nice” (well, not really, they say “che bello!”) but, making our way through the graffiti-ridden, desolate backstreets to the industrial unit where our apartment was, I had to keep reassuring myself that the area was just cool and “edgy” rather than dangerous. 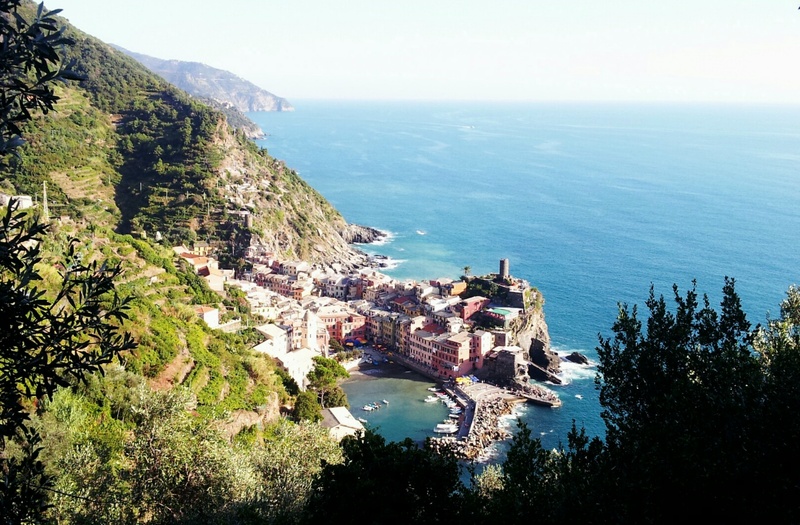 Cinque Terre (Friday and Saturday morning): We headed out to Cinque Terre the next day. 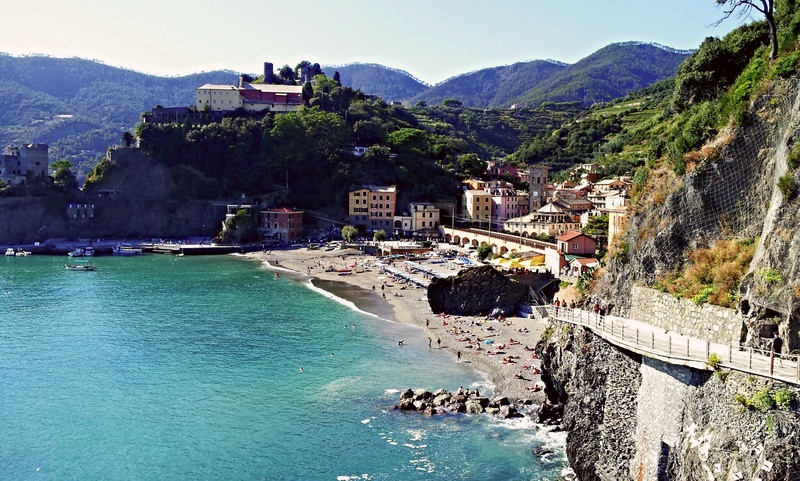 Cinque Terre consists of 5 coastal towns and is absolutely stunning. 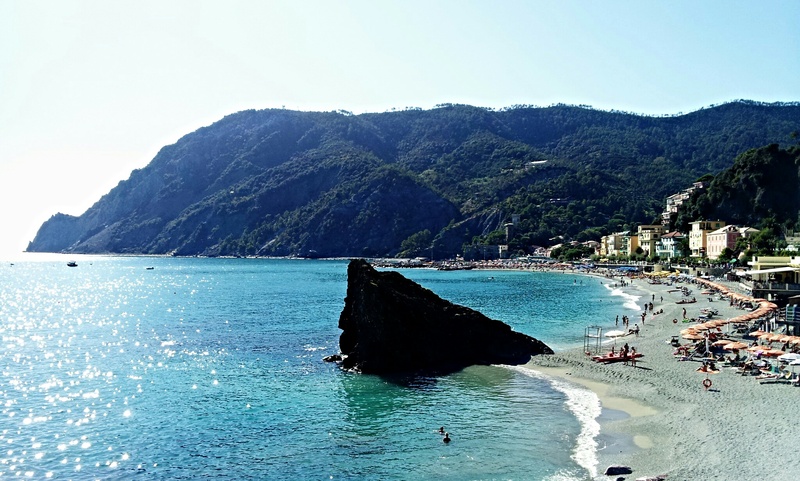 After waking up at 6am for a 3 hour train journey from Milan to Monterosso (the most northerly of the coastal towns), we got a connecting train to Riomaggiore (the most Southerly town) where we were staying, and then headed straight back out to Monterosso to make our way back to our apartment in a relaxed and leisurely fashion. 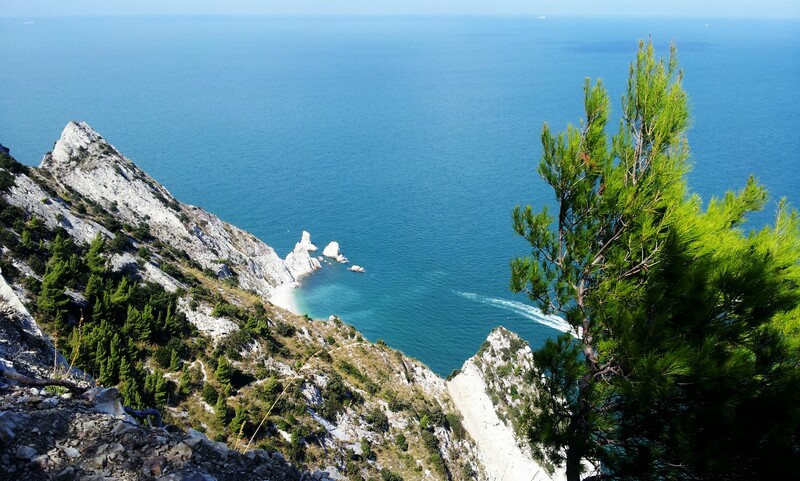 There is a walk between all of the coastal towns (6 hours), or you can take the train (6 minutes). We had intended to take the train. Hot Buns had other ideas and embarked on an evil scheme to kill us off, luring us into following him with “let’s just take a 10 minute wander to the next town, I think there’s a pub up here”. Thirty minutes later, there was no sign of a pub, only a stream of exhausted looking people coming the other way wearing full hiking gear, laden with water and open mouthed at our audacity to conduct the same hike wearing flipflops, beach wear and with no water. We were at a loss: return the way we came or plod on desperate and exhausted in the hope of salvation? We plodded on (past a sign indicating there was another 1.5hrs to go). Finally, two hours into starting our “10 minute wander to the next town via pubs”, we made it to Vernazza. We learnt a couple of important lessons that day: 1) Be prepared and 2) never listen to anything HB says. HB learnt that evil deeds do not go unpunished. Vernazza – at this point, we weren’t sure whether it was a mirage or not. Having said all that – the walk was spectacular and I highly recommend doing it. I’ll be going back there and doing the full walk and investigating the towns properly at some point. It’s very touristy though – it was almost like being back in London with the amount of English speaking people. If you go, watch out for your bag – there are pickpockets. Milan Part 2 (Saturday afternoon and Sunday): The next day we headed back to Milan to the same apartment we were in on the first night. The trains for that stretch all seem to consist of 6 seater cabins which was cosy. Perhaps a little too cosy for the old lady sharing with us who had to endure hours of an insightful and thought-provoking game of “would you rather…” and “if you had to choose between…” (for the uninitiated, an example being “would you rather have your fingernails pulled off or two of your teeth removed?” ). Anyway, I sincerely hope our fellow carriage passenger couldn’t understand English. We decided on a cheap night on the Saturday and had pizza and nibbles at the apartment and then attempted to go out on the town. However, there are no taxi companies in Milan that: a) answer the phone or b) don’t hang up on you if they do actually answer so we didn’t make it to the town, only the balcony which was I think probably just as / more amusing. 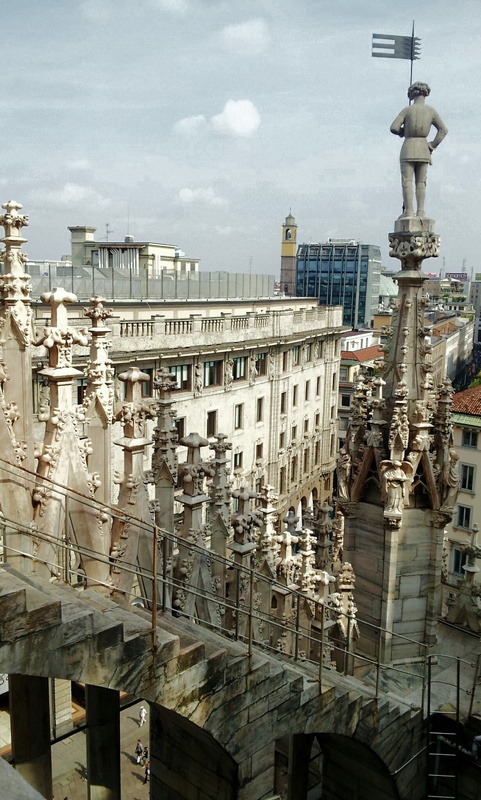 Sunday was cultural – we headed to the Duomo (cathedral) and had a look inside and then made our way up to the roof (7 Euros each) which has some great views of the city. Alas we didn’t get much time in the main city before heading back to the apartment to pick up luggage and make our way to the airports (me included – I’m writing this from the dank, drizzly and grey UK now!). Myself and Wetpants formed an economic splinter group and went with Ryanair whilst the others went with British Airways. Ryanair were such a pleasure to fly with as ever. I lost my passport in the airport, I thought that was quite apt given my loss of the passport on the way out too. I wish I had been born in an age where my passport could be a microchip embedded in the back of my neck. Knowing me I’d probably still lose it. I’m back in the UK now and it’s been busy! I’m sorry to the folks I’ve not had a chance to see – I’m back again at Christmas and hope to be able to see everyone I couldn’t get around to this time. I’ve got my nan’s car (bought I should add), much to her distress! It’s a Fiat – I’ve told her it’s going back “home” to its cultural heritage. She seemed to be mildly happier with that. Anyway, only one incredibly rude company will insure me to drive the car over here and in Italy. I didn’t want to go with the Rude Company. I wanted their business to fail and I wanted it to be because I didn’t go with them. But I need car insurance!!! So, I’ve had to swallow my pride and go with them. Grr. Right, onwards and upwards – hope you’re all well. Fire Watchers, toddler books and coming home!!! This week’s been fairly sedate – a welcome breather! I’m on a roll with bureaucracy at the moment. Before I can get a piece of paper to say that I live here, the Comune require proof that I do indeed live here. Who’s best equipped for this task you ask? Well let me tell you: The Fire Service. Yup. So they sent the “Vigili del Fuoco” around, literally translated as “watchers of fire” (the name doesn’t give me comfort. I think they need rebranding as “extinguishers of fire”). I must say, I was a bit disappointed. Expectations of a home visit from a uniformed fireman were dashed by a normal guy wearing jeans and a t-shirt. All went smoothly however and I look forward to receiving my piece of paper soon. I’ve joined the library! I only went in there to ascertain that I probably wouldn’t be able to join, or at least, not join without exhaustive and unobtainable documentation. However, within a mere 15 minutes, I had a library card and 3 books. So, I’m pleased about that. Alas, I have the Italian reading age of toddler and I can’t find books at my level without them being made of card and with a touchy-feely component. I’ve gone for some early teen books instead but it’s going to take me ages. Library joining day was a success all round because I managed to locate a Snicker’s bar as well. Mmm. I’ve been doing some painting this week – I’ll post some photo’s up of them at some point. 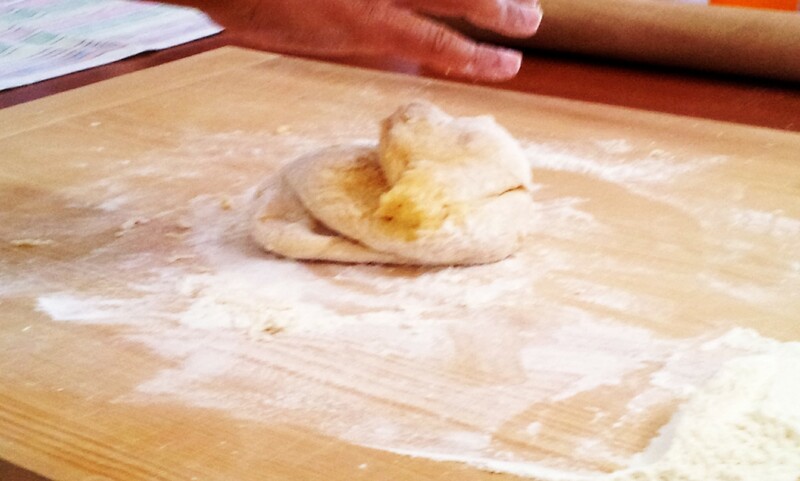 Thursday I did a pasta making course with the school. 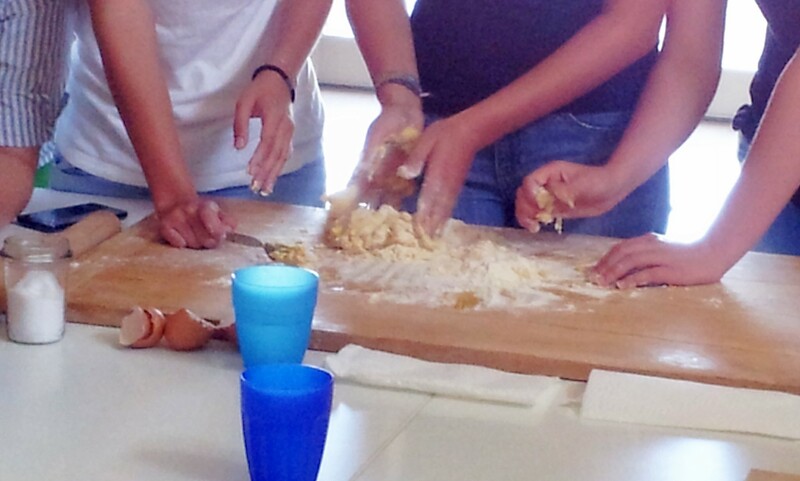 We’ve been positively overrun with students this week – 17 Austrian teenagers… It was the first pasta making course that the school has run. I think doing that course with teenagers that had absolutely no interest in learning how to make pasta was probably a challenge. In the end it worked out well, at least in terms of the pasta being more than edible despite my strong reservations at the beginning. On Friday I had a dinner with the other students. Marco got his guitar out and we had a group sing-song. Apart from one song that the others didn’t know so well and then it became just a Sue sing-song and ugh, I don’t want to think about it. I keep having flashbacks. Thankfully, I couldn’t have been too horrific as Marco asked if I wanted to be in his band (there’s only one other person in it at the moment and I don’t think it’s actually technically been formed yet). I quite fancy being in a band so I’ll give it a go if it actually materialises. I hope it’s the kind of band that just practice in a garage and don’t perform anywhere. Yesterday was supposed to be a day of walking in the Sibillini Mountains with “Il Polemico” but despite exceptional planning on my part (the mountains are a bit further away than I thought), it didn’t happen and we went to some closer mountains instead near San Quirico which turned out to be spectacular too. Italy is sadly missing walking guide books. There are maps that are absolutely no help at all and though there are some internet sites which offer some walking routes, they often leave out pesky details like where to start, where to walk and where to finish. Pretty mountains – photo courtesy of Il Polemico. 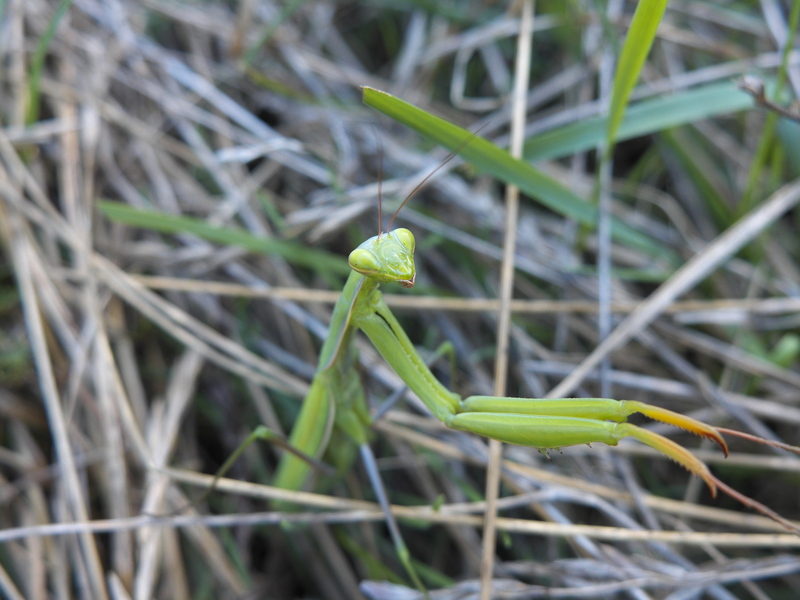 Praying Mantis? Grazie di nuovo al Polemico. This week some friends are coming out to see me! I say “me” loosely as they decided they wouldn’t come any further south than Milan. I don’t know whether that technically counts as a visit but I appreciate the sentiment 🙂 Anyway, I’m meeting them up there on Thursday and we’re going to spend 4 days around Milan and Cinque Terra. I can’t wait for that. And then, I’m coming home! (No reading into the use of “home” – home is wherever I hang my hat!). And then then, I’ve bought my nan’s car and I’m driving it back to Italy in October. Advice for people buying cars in the UK but using them outside the UK – bear in mind it’s difficult to get car insurance if you’re out of the country for more than 90 days. Also bear in mind that it’s probably best not to pointedly reject one of these specialist insurance companies without having any alternative option, even though they may be rude, obnoxious and should be taught a lesson. If you would like any recommendations on which companies are the rudest, which companies have the most nonsensical instant quote forms or which companies don’t reply to emails then please do get in touch. What’s a bit odd? It turns out Italian’s play the guitar using the following chords: do, ray, mi, fa, so, la, ti, do, rather than C,D,E,F,G,A,B. I don’t think I’d ever be able to play anything without it all turning into the song from the Sound of Music – “doe, a deer, a female deer……”. I’m going to bring my guitar back from the UK and I might see if Marco will give me some refresher lessons. The other what’s a bit odd but probably says more about me… For months, I’ve been confused about how the Italian’s refer to Bologna. Bologna is a city in the Emilia-Romagna region of Italy. When I ask Italians where they’ve travelled, the conversation often goes something like: France, Germany, Ireland (curiously) and Bologna. Now, I don’t wish to belittle Bologna, I’ve heard good things about it but I just don’t think it’s up there with, you know, countries. I pulled someone up about it this week. They’ve been saying Pologne. Poland! People have been visiting Poland….All becomes clear! Right, onwards and upwards. Naps don’t take themselves. Buona giornata! Come va? Hope you’re all hunky-dory! 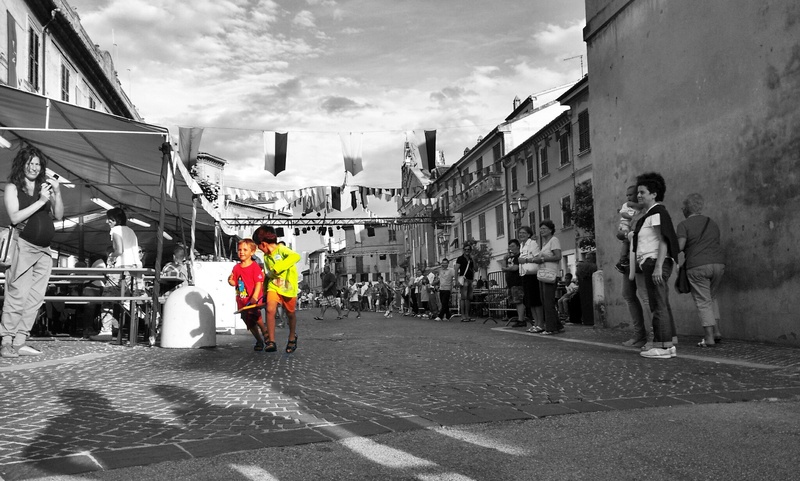 Rosso Conero Festival runs for 3 days from Friday to Sunday. 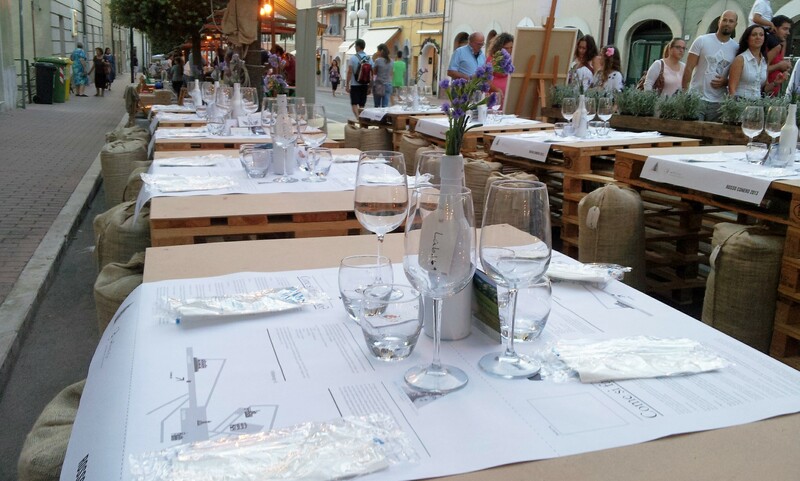 Thankfully I was only working two of the days – it’s the oddest wine festival I’ve been too. In fact, I think “wine festival” is misleading. There’s a place you can buy a glass and then there appeared to be about 3 tiny stalls where you could chose from an incredibly limited selection of wine. No free tastings! I’ve only ever been to wine / beer festivals in London where you buy / put a deposit down on a glass and then spend the entire day visiting 100’s of stalls getting free samples. A more accurate description of the event would have been “Cool art, music and other random stuff festival – oh, and you can buy a bit of alcohol if you want”. 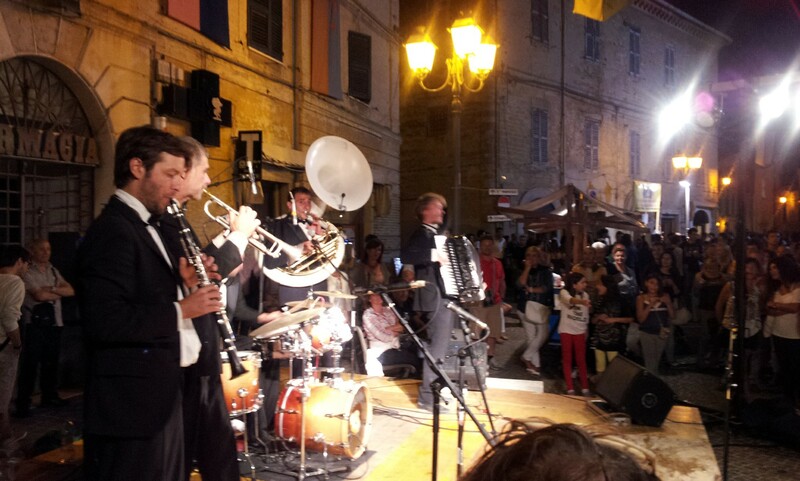 One of the bands that were playing in Piazza Roma – they were a good laugh, very engaging! 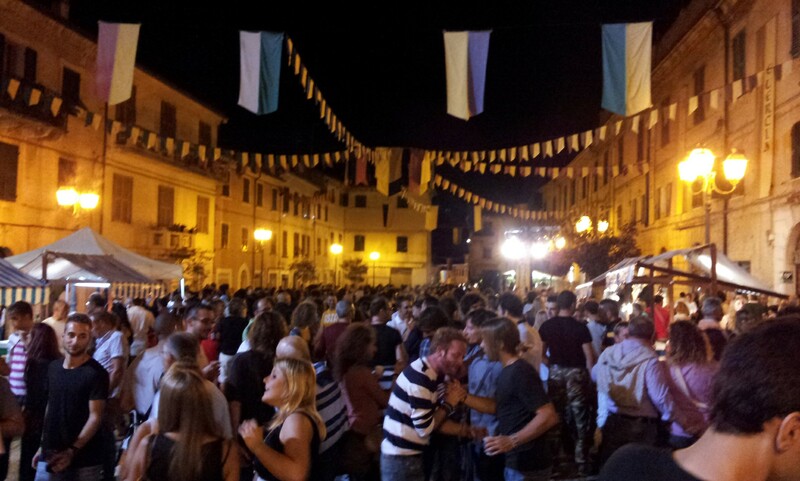 Piazza Roma at about midnight on Friday! Other stuff this week – I had a business discussion with Marco (from the Language School) on Monday to discuss recruiting more students from the UK and teaching English to Italians so I’m putting together some proposals this week on that front. It’s been quite good engaging the brain on things other than what shall I eat today! I finished my Italian Exercise book – I’m on the next level up now. Woohoo! And I’ve been doing “combined pronouns” this week (which I think are probably right up there with “rocket science” in terms of difficulty) and occasionally, OCCASIONALLY, I get them right. Oh and I’ve got some bureaucracy done! What a productive sounding blog update this is. It feels like months have past since Monday for some reason. Anyway, I managed to buy health insurance and then, THEN, I did something at the Comune. I don’t entirely know what. I think what I’ve succeeded in doing is declaring that I live in Camerano. It seems odd to need so much stuff to declare that I live here. I had to get Marco to complete a form say that he’s letting me stay in the flat and now I’m waiting for the police to come and visit to double check. Obviously there would be serious consequences indeed if they didn’t know who was living where. I mean, imagine…someone could be living somewhere and if the comune didn’t know, then it would be bad because of the er….. because of the erm….. yeah, I don’t know why. Anyway, I don’t know if declaring that I’m a resident here is the same as this “carta di residenza” mythical beast – I don’t think so because I don’t get a card. Only a letter. Which I might frame if it does actually come through. What else? Ah my neighbour popped around with a care package of stuffed tomatoes – very tasty. There’s a festival coming up in Jesi in the next couple of weeks – I think I’m going to that with him and will be helping with his grape harvest in his field nearby too. Goodness – look at that – more productivity. I’m on form! What’s a bit odd? I don’t know whether this one applies generally to all people or not or just me but something strange has happened. I’ve never been able to make a proper omelette before – I turns into scrambled eggs to matter what I do. However, since arriving in this country, without changing my method in the slightest, I’ve nailed omelette making! So. Disappointed with your omelettes coming out scrambled? Come to Italy! 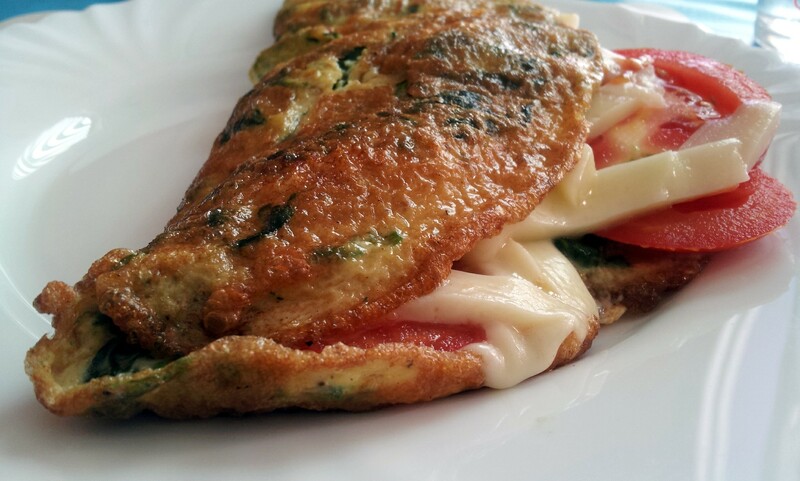 My omelette – it looks like an omelette and everything! Spinach, tomato and cheese. Mmmm. Right, that’s about it. Short update this week (I bet you’re all breathing a sigh of relief ;-)) – all this productivity has taken it out of me! The Big Tray Race, eating dogs and I have a JOB! I’m so proud of Camerano!!! 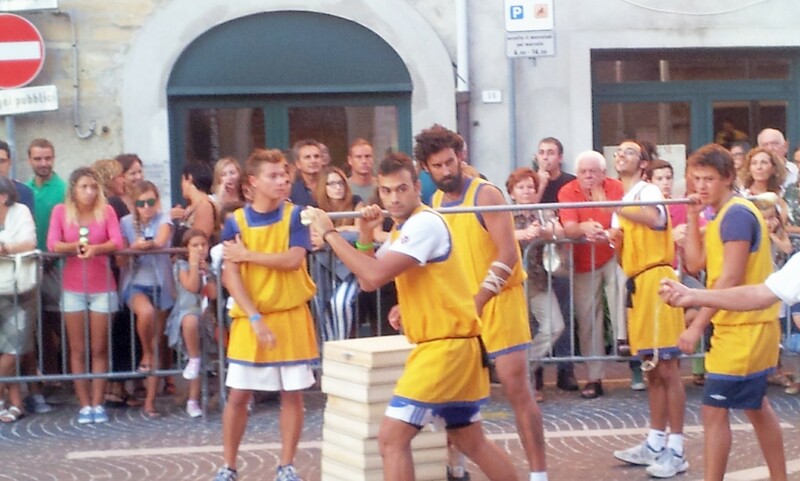 Every, EVERY town should have a Big Tray Race, otherwise known in Camerano as “Contesa del sacro Vassoio”. So that was Thursday, our Patron Saint’s day. In fact, it was more than a Big Tray Race. There was a Wooden Block Transportation race and Tug a Large Metal Wheeled Thing competition and there were other games too but hunger took over and I went to get something to eat so I’m not sure what I missed. Anyway in summary: there were 8 teams of generally young folk from areas in Camerano – my area is called “Oak” (La Quercia). There were 4 or 5 “games” with a complex scoring system which made no sense at all. All of it was presented by Eurovision song contest style hosts. 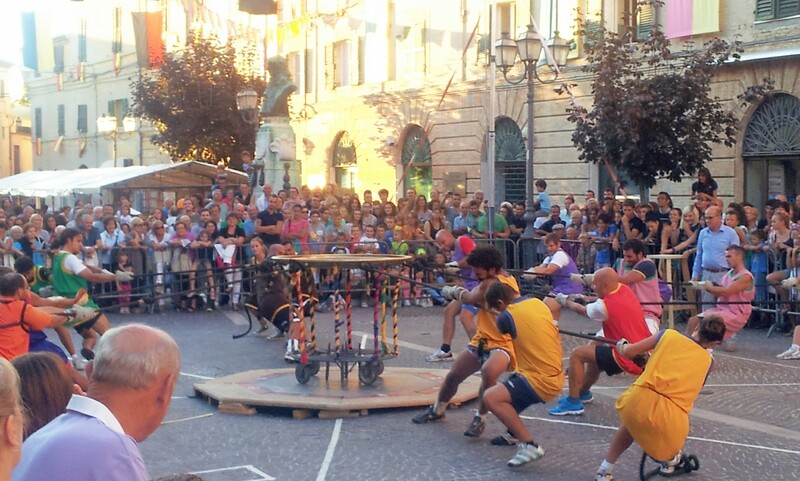 The Grande Finale was the Big Tray Race which was basically a relay race around Camerano with a large metal heavy looking tray carried by 4 people at a time. 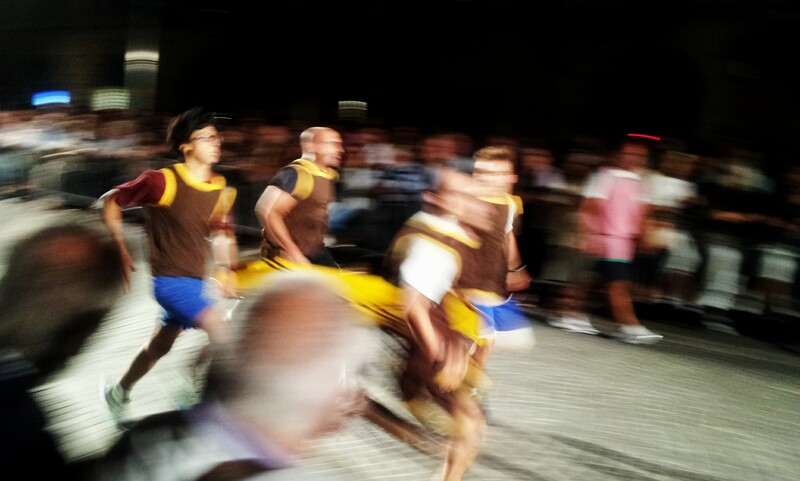 We (La Quercia) won that race but overall we came second. The team that won the whole thing were ecstatic, I don’t think they could have been more enthusiastic if they’d won the Olympics. “Tug a Large Metal Wheeled Thing”. The team that succeeds in tugging the large metal wheeled thing over a line on that wooden platform, wins. La Quercia! My Team!!! WE WON!!!!! What else? 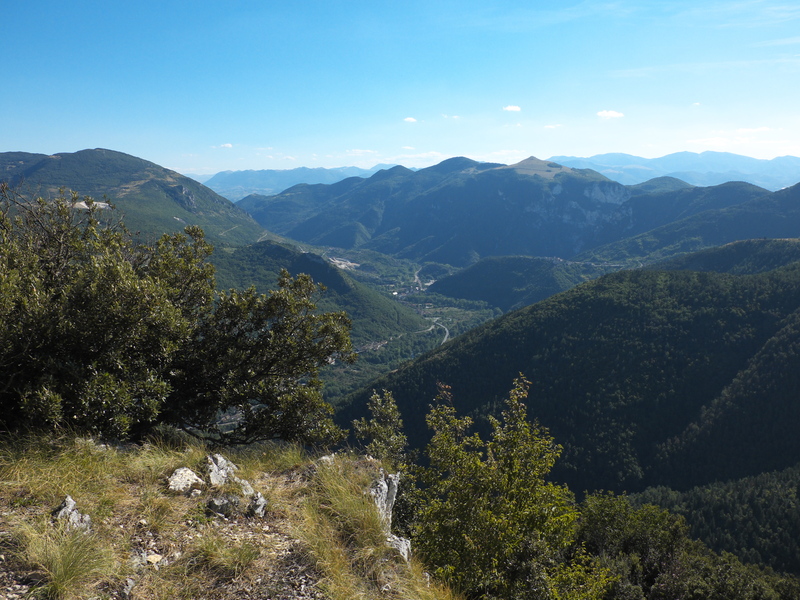 This week I’ve been walking in Monte Conero – Passo del Lupo is a very pretty and easy walk to a lovely viewpoint overlooking the coastline and you can see the mountains in the distance too. I’ve done that walk a few times now with the school but it never gets old. I had another dinner with the palazzo (the other people in my block of flats). This time, rather than making too sweet biscuits, I made overcooked potato salad (well, to be honest, potato mash) which was a big hit. Nobody seemed to comment on the overcooked-ness – I think I can pretty much get away with serving up anything under the guise of it being a “Traditional English Delicacy”. 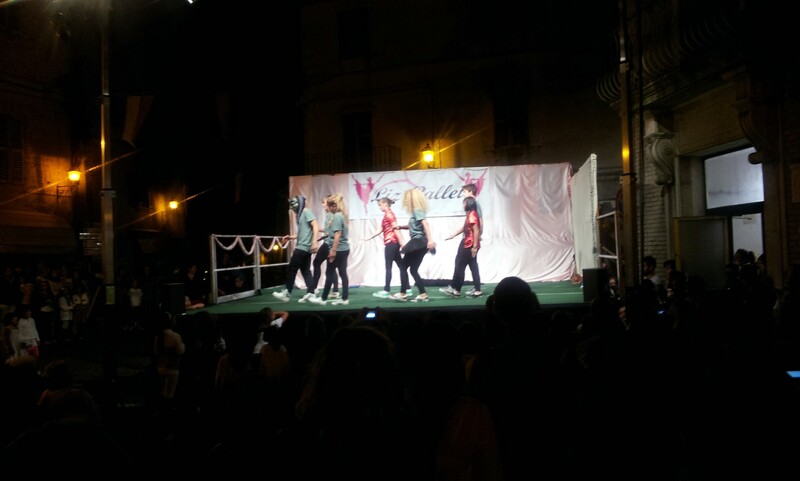 After the dinner, I headed to Piazza Roma where they had a free dance show going on courtesy of our Patron Saint again. That was really good to watch too – a good mix of traditional and modern dance. Tuesday I went to dinner at a local cantina (winery) – Angeli di Varano – and had a lovely meal there with some friends and family of Marco. 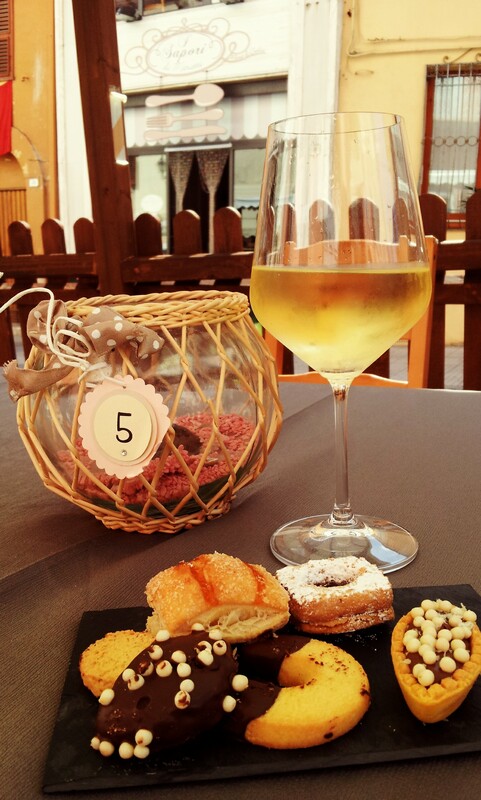 The cantina mentioned there might be a job serving wine at the Rosso Conero festival next week – I’d be paid in wine. Seems alright to me. The latest cheap wine box purchase gives me a headache after one glass! I had a new housemate this week for 4 days but I’m back on my own again now in the flat and really liking having my own space again. I think that’s it now in terms of housemates for a while – hopefully I’m on my own for a bit! Ooo and probably the biggest news this week was I HAVE A BIT OF A JOB! Teaching 3 Italian girls English in a group lesson – in fact, not really teaching at all because their grammar is pretty good. I think it went ok – they want another lesson at least. They just want conversation practice really so if anybody has any ideas for good things to do to get shy teenage girls talking, let me know! I made a whopping 30 Euros for an hour and a half. Post teaching treat… This was on a day where I was supposed to be eating only “500 calories”. Oops. Il Polemico (“The Argumentative One” / my language swap buddy :-)) is back from holiday. 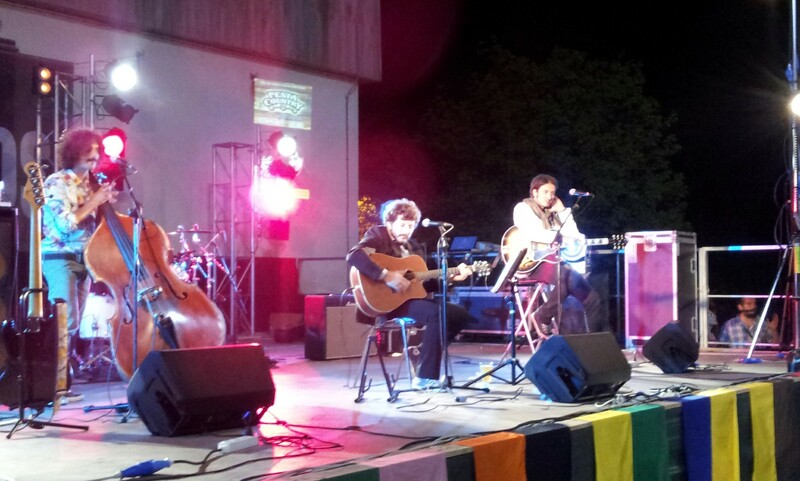 We went for dinner yesterday and headed to see a band “Gli Amici Dello Zio Pecos” playing at the sports ground in Camerano. They’re a fab band – real characters and the lead singer was brilliant. Here’s one of their songs on Youtube (*correction! The song “Volta la carta” is Fabrizio De Andre’s song – see comment below for a link to one of their own). Il Polemico has given me some other songs to listen to now so looking forward to that (grazie!!!). Ferragosto (the 15th August is Ferragosto but the couple of weeks after, nobody seems to go to work), has finished now and I should be able to get my health insurance. *Should* being the operative word. I will eat my hat if I actually succeed. 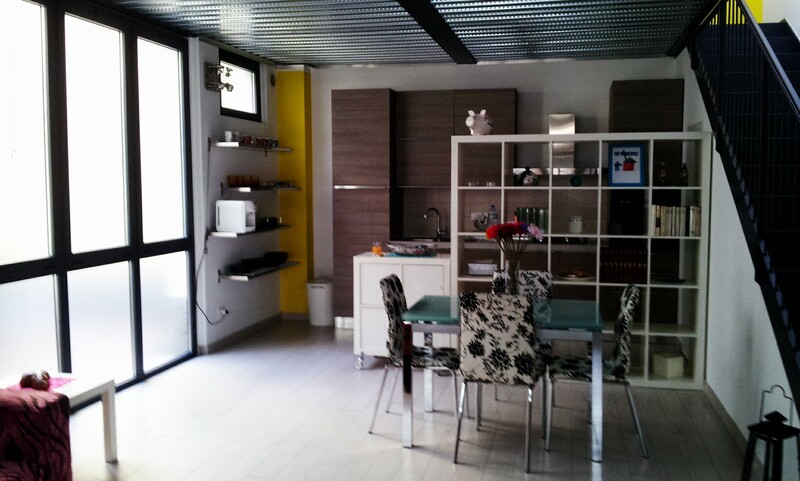 If I get health insurance, I *should* be able to get my carta di residenza (as if… AS IF!!!). This week’s “What’s a bit odd”: Noises and gestures! My all time favourite noise that Italian’s make is “boh” – it means “I don’t know”. It’s usually accompanied by a shoulder shrug. I could listen to “boh” all day… And they all say it. I don’t think we English people have recognised random noises like that. I use a combination of “huh” (how interesting), “pfft” (you’re being annoying), “meh” (whatever), “pah” (you’re wrong) but I don’t think they’re universal and there’s a chance I’ve just made them up. Certainly the Italian’s don’t know what I’m on about. And they don’t use the acronym “lol” (Laugh out loud) when they message, understandably, but there’s no alternative Italian equivalent – they write out the full laugh, but it’s “Ahaha” rather than “hahaha”. Who starts a laugh with a?! That just sounds like their making repeated discoveries – “Aha!” (Huh. I wonder what noise they make when they’re discovering something then…). On a separate noise related front – I can’t roll my r’s. You need to be able to roll your r’s here in Italy otherwise you sound weird. I’ve been practicing to no avail. It’s a particular problem when I say I don’t eat meat – meat being “carne” (carrrr-nay). Without rolling your r’s, it basically comes out like “cane” (ca-nay) which is a dog. Basically, I tell people that I don’t eat dogs. Which I suppose is true. I’ve found a YouTube r-rolling guidance video. I’m going on a r-rolling mission this week. Ok, have good weeks everybody.